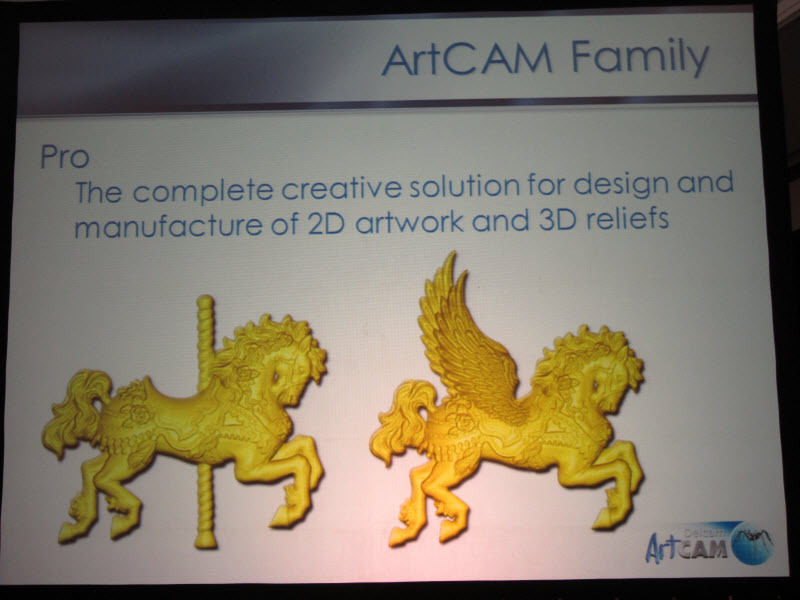 Sandy Moffat, Delcam’s Asia Business Development Manager, gave a presentation on ArtCAM, Delcam’s CAM solution for artisans. Many of the world mints design their coins using ArtCAM. In fact the Royal Mint used ArtCAM to design the Olympic medals. The entry level product in the ArtCAM family is called ArtCAM Express and sells or $149. 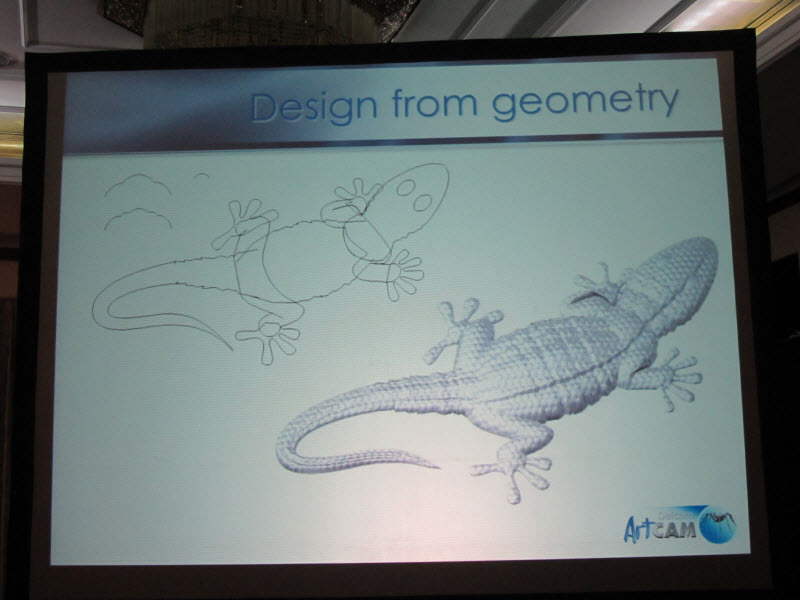 It offers 2D design and 2D/3D machining. You can extend the express version by adding modules to it. 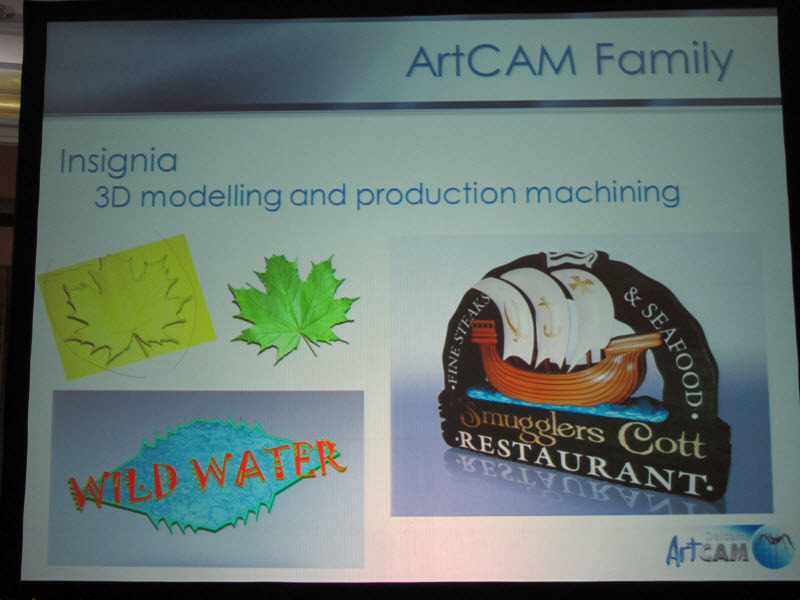 The next level of ArtCAM is called Insignia and offers 3D modeling and machining. 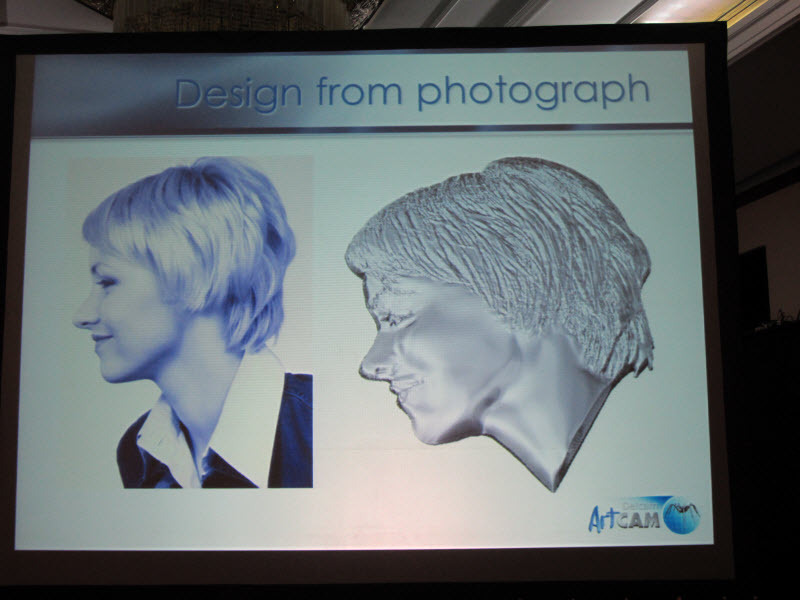 The full blown version is called ArtCAM Pro and is a complete solution for 2D artwork and 3D reliefs. 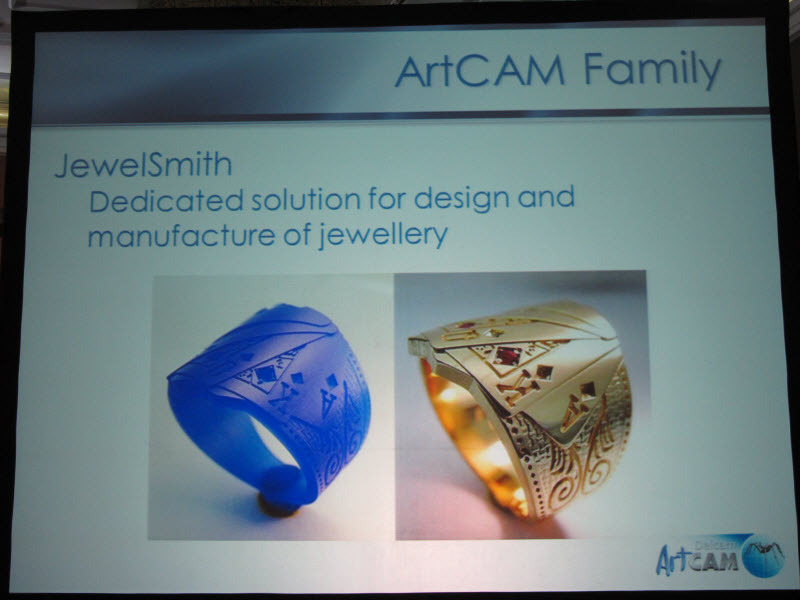 Delcam also offers a version of ArtCAM Pro tailored for jewelry design and has branded it as JewelSmith. 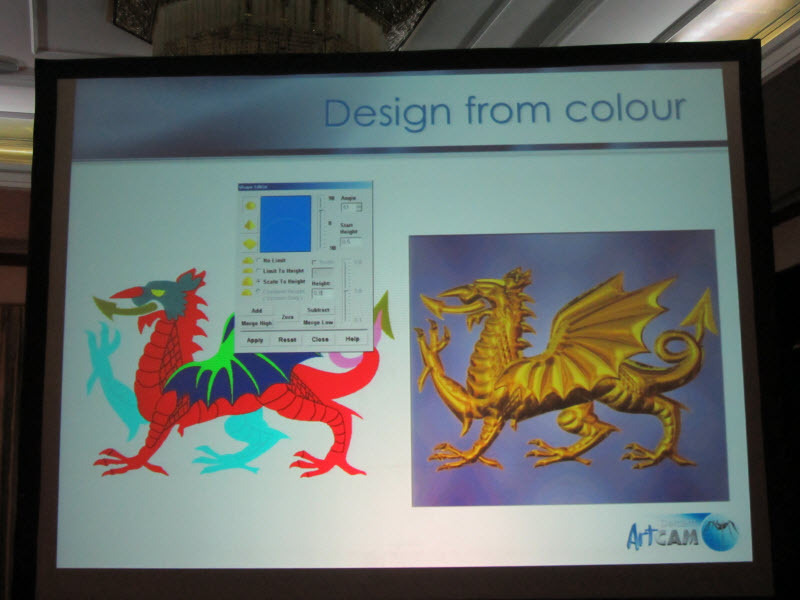 ArtCAM has three methods of shape creation – from color, geometry or image. Delcam has added a fourth method of shape creation to ArtCAM called free relief modeling which allows you to create models from scratch by dragging and dropping items from a library. Take a look at this video to see how easy it is.